One of the region's most influential campaigners for inner city issues, Salma Yaqoob, will receive an Honorary Doctorate from Birmingham City University today (Monday 26 January). Salma has been a community activist for several years and has tirelessly campaigned on the themes of equality, justice and peace, particularly focussing on a number of important local issues including reducing the gaps in educational achievement of disadvantaged young people. Nationally she advocates an alternative economic policy to austerity, and internationally she has consistently called for peace, playing an active part in the anti-war movement. The Birmingham Post has called her "a doughty fighter for inner city areas" and placed her in their Power List of people influencing Birmingham. "I am delighted and deeply honoured to be awarded the Honorary Doctorate. It's extra special that the university in my hometown has bestowed this honour. The irony is that I dropped my PhD studies as I became so active in social justice campaigns and was raising a young family at the same time", said Salma. "It is therefore a real surprise and pleasure that it has turned out that I am receiving a doctorate because of the work I thought had stopped me from achieving one. My only sadness is that my father passed away recently and he would have been really chuffed to see me receive the award." 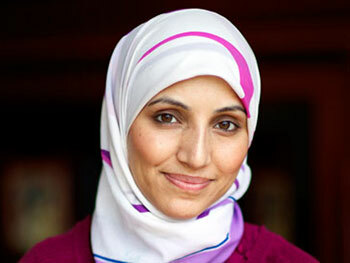 Salma currently works as a Community Engagement Senior Manager at the Birmingham and Solihull NHS Mental Health Foundation Trust and regularly speaks at public events and rallies around the world, having made a number of appearances on television programmes such as BBC Question Time and Newsnight. She is a qualified psychotherapist and gained a Postgraduate Diploma in Integrative Psychotherapy and Counselling from Birmingham City University. She returns to the University today (Monday 26 January) where she will be awarded an Honorary Doctorate in recognition for her community achievements.